What can Peekaboo create for you? 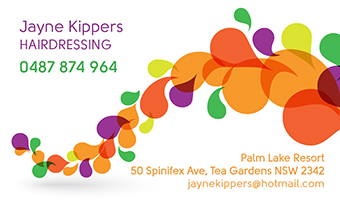 It's imperative that your logo looks professional, is memorable and captures the style of your product/service. Peekaboo Creations guarantees you a quick turnaround, revision opportunities and the final logo design delivered in multiple formats (EPG, JPG and PDF). 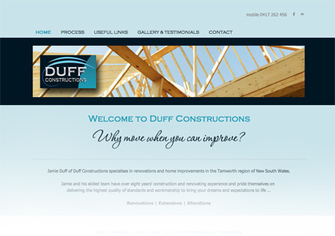 A good website design should reflect your business brand, image and colours. Peekaboo Creations is able to create a website to suit your requirements, giving your online visitors a professional impression of your business or organisation, while enabling them to quickly find the information they're looking for. Whether you're after a simple one or two page website, or something more detailed that you can edit yourself, Peekaboo Creations can assist you with domain name registration through to easy online editing of your completed website. Designing a website is one thing, writing the copy is another. WORDS attract people (and search engines) to your website, not always the design. Peekaboo Creations can write the copy for your website, either from scratch, or from a brief you provide. Feel welcome to contact Peekaboo Creations to discuss your professional, content-driven website, editable by YOU whenever you want, or need to. Businesses need to communicate information to existing/potential customers and even though we live in such a high-tech world these days, print media remains important, as is a professional an eye catching design. A good design should be consistent in adhering to the clients' style guide (use of logo, colours, fonts etc) which gives strength to the public recognition of the product or service; ie branding. Electronic newsletters help you connect with your customers at the touch of a button and are very economical as printing costs are abolished. Peekaboo Creations can convert existing print publications into electronic newsletters, or design the newsletter from scratch. Either way, your costs are diminished considerably compared to that of print. Computer templates in Word, Excel and PowerPoint (as well as Pages, Numbers and Keynote for Mac). Peekaboo Creations can also visit on site to assist with installation and tuition of templates if required.